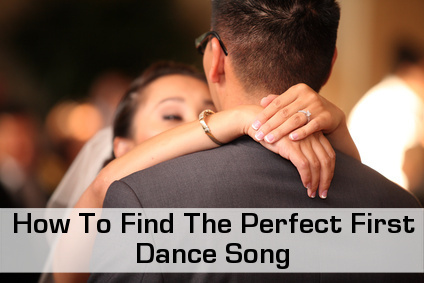 Searching for the perfect first dance song to open the dance floor as husband and wife can be the easiest thing in the world, or it can be utterly complicated and challenging. Some couples have a song that is "their song" since the beginning of their relationship or a song that means something to them both (shared experience or they are both fans of a certain group or artist). Some other couples just don't have a special song, or perhaps their song would not be appropriate for a first dance song for what ever reason. 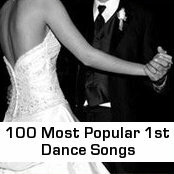 Here is a selection of more than 100 of the Top Songs For First Dances from all genres. Country gal? Look no further! 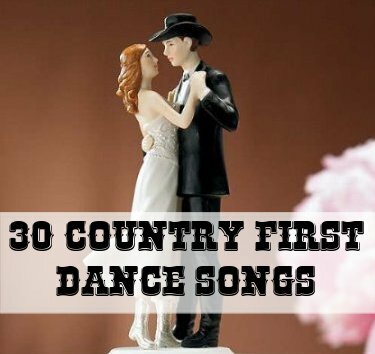 Choose from our selection of 30 to find your perfect Country First Dance Song. 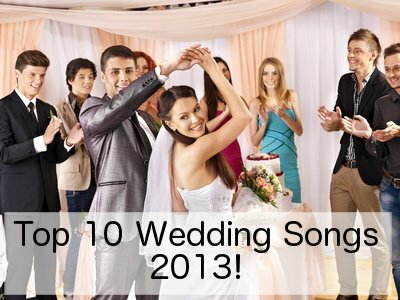 If you are looking for something that is not overused, then check out our list of Unusual Wedding Songs. Want something new and up to date? 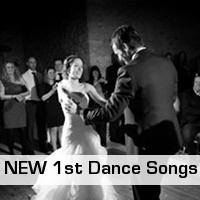 Here is a list of great New First Dance Tunes to choose from. When you have chosen your perfect first dance song, check out our Tips Page for ideas on how to make the most of this special moment. The first dance comes from an old European traditions when, during a ball, the host couple would "open the dance floor". It has since become an important part of most western weddings. The thought of the first dance fills some couples with dread, and I can understand why. If you are not a good dancer or you are shy by nature and you hate being the center of attention, this particular part of the evening can be very stressful. But I also know that should you decide not to do a first dance, you might be sorry. It is kind of a right of passage that all couples need to go through when they get married and your guests will also be expecting it. Don't take this decision lightly and read our tips page (link above) before you decide not to include it in your wedding day. There are two kinds of wedding couples, those who have "their song" and those who are clueless as to what song to use. If you do have a song to call your own, please make sure that it is in fact appropriate to use for your first dance. Read the lyrics. If they are a little obscure and open for interpretation, then that is fine, but if it is clearly a break up song (I Will Always Love You comes to mind), then find another song. If for whatever reason, the two of you don't have a special song to call your own, then perhaps start with artists or genres that you both like. If you are planning on spending the rest of your lives together, I am sure you have some kind of music in common even if he is a metal head and she is a country girl. Look through the lists above, listen to any songs you think might be appropriate or any who's title's catch your attention. 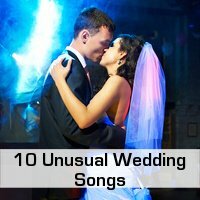 All of the songs suggested on this site for use as a first dance song is totally appropriate for this occasion. It is just a matter of finding the song you would like to remember as yours. Last but not least, don't stress too much to find "the perfect song". You have other, more important things to worry about when planning your wedding. Just choose a song with good lyrics and the love the two of you feel for each other as you sway on the dance floor together will tell the rest of the story. 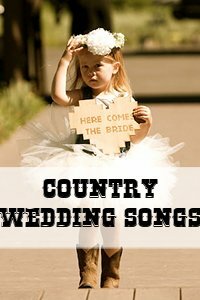 I have created a board of ideas on how to incorporate your first dance song into your wedding in more ways than just opening the dance floor. There are also ideas on how to use the lyrics of the song and the photos of that moment after your wedding to remember it. 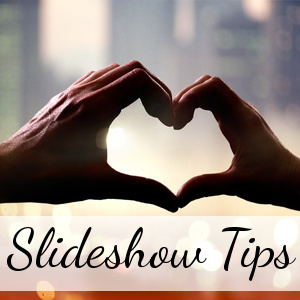 Add something extra special to your wedding by making and showing a wedding slideshow with some great songs to match. Find out how here.